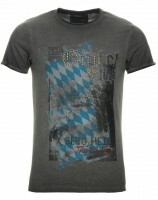 Trachten t-shirts are more than just an option when putting together a neat Oktoberfest outfit. These usually short-sleeved shirts are available to men in a variety of colors, sizes and styles: that’s why Gentlemen, thanks to the many discreet, festive and funny variations, find the matching Oktoberfest t-shirt for a successful appearance at the folk festival or in everyday life. 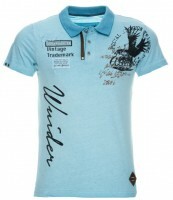 Men tend to opt for a Trachten t-shirt if they do not want to wear a traditional costume shirt. It thus acts as an alternative, on which, however, more and more men decide. You want to do the same? Then you’ll find a German top in the extensive range of Dirndl.com, which enhances your Oktoberfest outfit. Maybe you are one of those gentlemen who find a classic checkered Trachten shirt as visually appealing, but prefer a simple t-shirt in terms of comfort. Even then an Oktoberfest t-shirt is perfect for you. 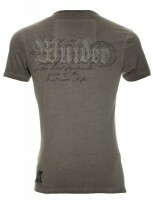 These Trachten tops for men are often kept in a regular fit and have short sleeves. 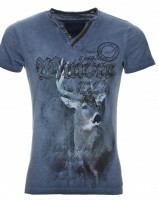 But also formfitting t-shirts are sought after and will make you irresistible. Manufacturers like Krüger often opt for a v-neck or round neckline. Also widely used are button borders. Are you looking for a cotton shirt, you are at the right address at our online shop. If one of our shirts is made of 100% cotton, the shirts are made of a high-quality material mix with polyester and spandex. The latter makes the Oktoberfest t-shirts for men more elastic and thus more comfortable. The Trachten brand Stockerpoint sets refined accents with eye-catching features such as striking seams and washes. The monochrome Oktoberfest t-shirts for men, however, represent the minority. 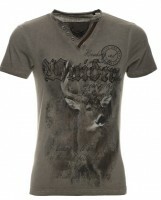 Numerous models are trumping with detailed prints on the front, which also represent the highlights of these tops. 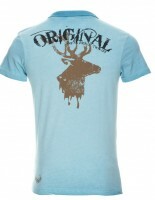 The motifs include stags, the Bavarian coat of arms, as well as concise slogans and logos. 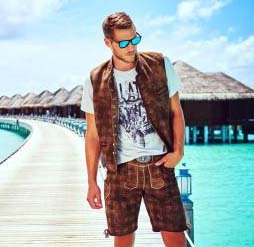 First and foremost: The Trachten t-shirts with best price guarantee available on Dirndl.com are an attractive eye-catcher for men not only at the Oktoberfest. Like no other piece of traditional German costume, you can integrate them into your everyday life. 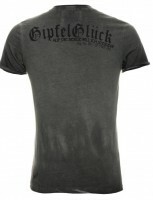 Combined with a pair of jeans you create a casual look with a German flair. As part of an Oktoberfest costume you wear a Trachten t-shirt with Lederhosen or other traditional pants. It can even be combined well with other tops like traditional jackets or vests. Just keep in mind that these components hide a significant amount of the Oktoberfest t-shirt. Then, especially the monochrome models are fitting which present no saying and no motive.